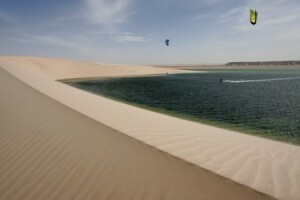 If you decide to do a Dakhla trip to discover their kitesurf and windsurf spots it has some spots to kitesurf and windsurf in the desert suitable for further learning or improving our level of windsurf or kitesurf. You’ll find yourself in the middle of a protected nature reserve of infinite horizons with a crystalline blue, amazing and abundant sea dunes. Their conditions are excellent for all levels, flat water with a constant wind makes this spot a privileged site for further learning without fear. 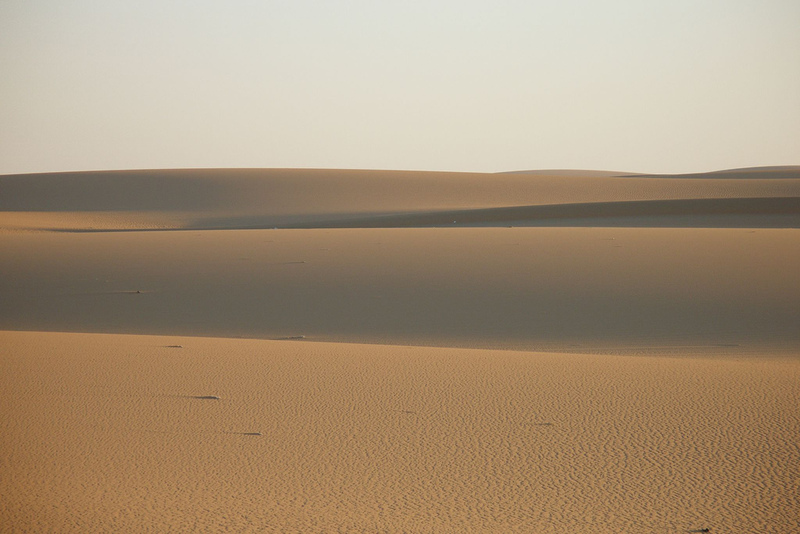 Dakhla is a protected nature reserve which preserves all its power and glory, infinite horizons, blue and sea rich in fish, dune hills that end up in the water. The place is perfect for a holiday of sport, adventure or rest. 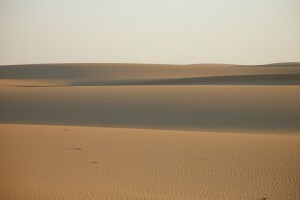 Dakhla offers the possibility of living a different adventure every day, at sea, desert tours, camel, 4×4, dunes, etc. At night you can enjoy the silence, the immensity of a tremendously starry sky, the infinite space, etc. The flat water and low and background make visible the Dakhla lagoon ideal spot for perfect flights, Freestyle, tricks and jumps. You can cross the lagoon side to side, front to camp between skip and jump. If you stay at the hotel you will go to a spot and if you stay at the Camp just opposite, the latter have permanent rescue boat. 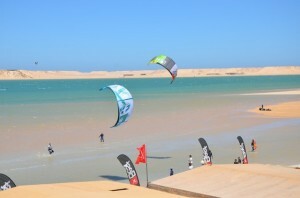 Perfect for any type of rider, either wants to learn, is it or is an expert and just wants a week of incredible wind. The most experienced riders can enjoy the adrenaline rush causing go to catch the waves within walking distance of the camp. You have to apply separately and destination directly. You can not miss a visit to the beautiful “White Dune” that goes directly into the sea when the tide is high it becomes an island of fine white sand. We offer amazing downwinds from Camp which is about 10 km. and 1.5 hours of sailing, wind arrives as will rise, so keep in mind that we will be doing comet bigger as we sail. The prevailing wind direction is north-north / east blowing 20-35 knots and usually from February to September, the remaining months 20-25 knots. Currently, most of the territory is controlled by Morocco, this, according to the list of countries by Human Development Index included in the Human Development Report 2013 of the United Nations Development Programme (UNDP), Morocco is beset within countries with medium human development index at 130th. 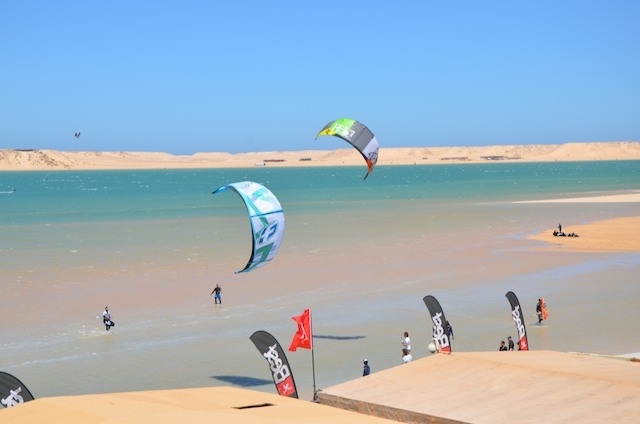 The best way to reach by plane Dakhla is normally done from the International Airport Dakhla, at present, to promote industry windsurf and kitesurf, Moroccan authorities are carrying out a reconstruction of the old airport built by the Spanish colonial authorities.